Diary of a Psychic Healer: Chakra Healing eBook! My new book is out! All about chakra healing, angels, psychic development and crystal magic. Find it on Amazon USA / United Kingdom / Canada / Mexico! 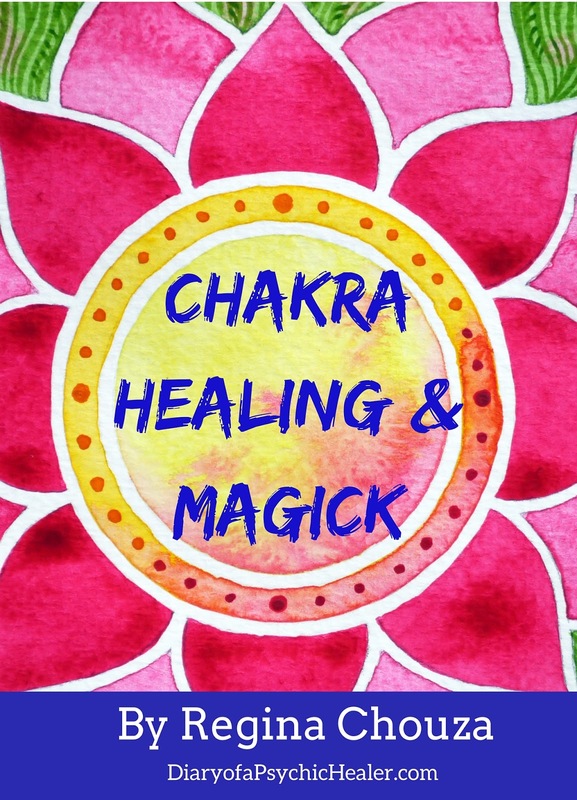 Why Chakra Healing & Magick??? Chakra healing is its own kind of magick in a quite literally, as clearing and healing these beautiful energy centers brings more love, abundance, and happiness into our lives - but also in a figurative sense, as the creative tools in this book take us on a magical journey of self-discovery. One where we discover our true spiritual power, becoming catalysts for change, personal growth, and happiness in our lives. I'm so pleased to share this with you! I started reading your lovely book last night and couldn't put it down. It's very well written! It's perfect for the experienced practioner and I also believe someone with only a basic knowledge of chakras and the spiritual arts would find it just as easy to understand. I would recommend it to anyone with even a slight curiousity on the subject. I find it insightful and well researched. This is a most excellent ebook! Thank you again!